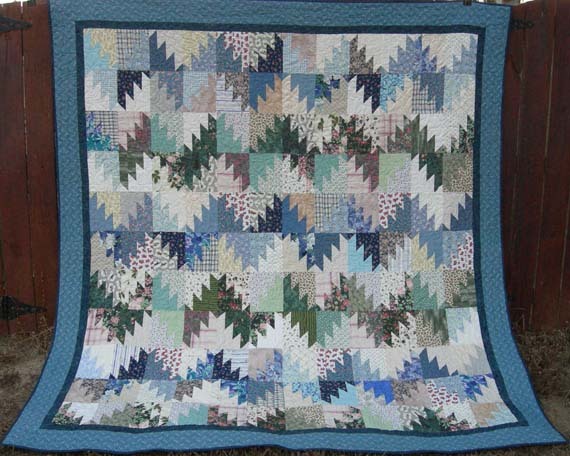 The 2014-2015 Annual Hands of Friendship Quilt Guild Challenge has been announced! The much anticipated 2014-2015 HOF Guild Challenge was revealed at the last guild meeting! 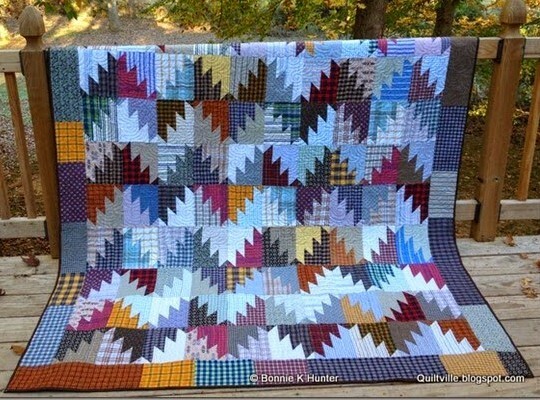 With the upcoming workshop with Bonnie K. Hunter next year (September 17-19, 2015), the Challenge committee members (Peggy Clark, Michele Breault, and Susan Guffey) thought it would be appropriate to challenge the HOF Quilt Guild to make at least one quilt from the five patterns that were selected. Each one is shown below and most have two different versions for inspiration! Make at least one of the five selected. It/they must be completely finished by the September 16, 2015 meeting. You may do this by yourself, or you may form a group with others and trade blocks. A printable copy of the Challenge 2014-2015 is available. 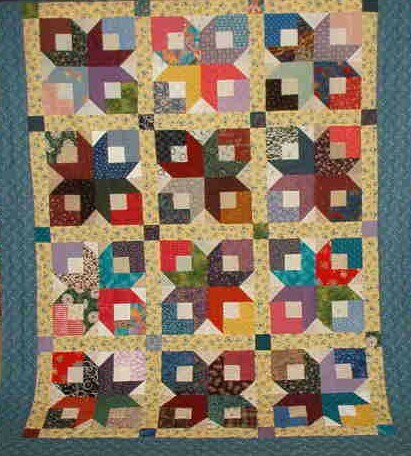 “Boxy Stars“ is made with 2 ½” strips, cut into rectangles and squares. 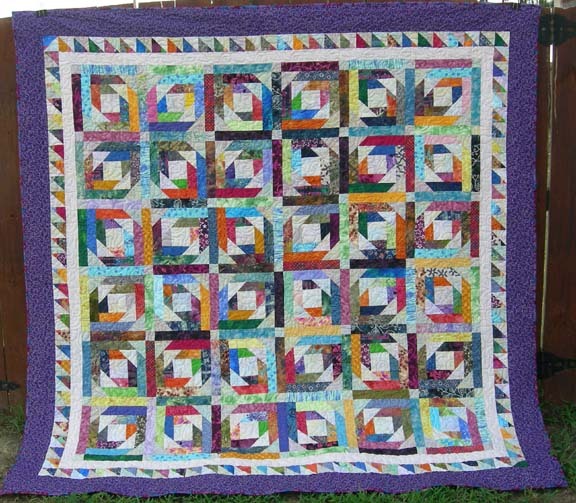 Each block forms a 12″ square. The directions are available from her website. 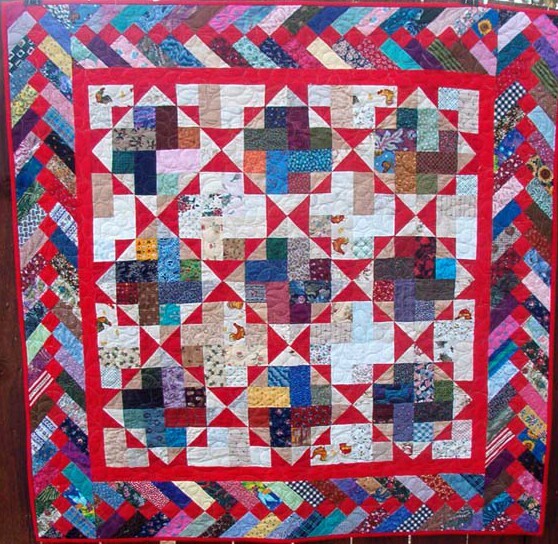 “Nine Patch Split“ is also made with 2 ½” strips, cut into squares, rectangles, and made into half-square triangles. A block is also 12″. 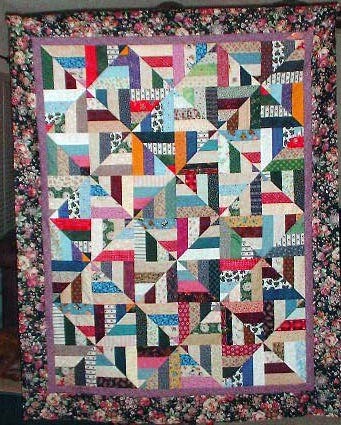 There is a braid pattern for the border, where she used 2″ squares and rectangles. The directions are available from her website. “Pineapple Blossom’s“ directions are written for 2″ strips with 3 ½” squares, but she has added directions for 2 ½” strips and 4 ½ ” squares. 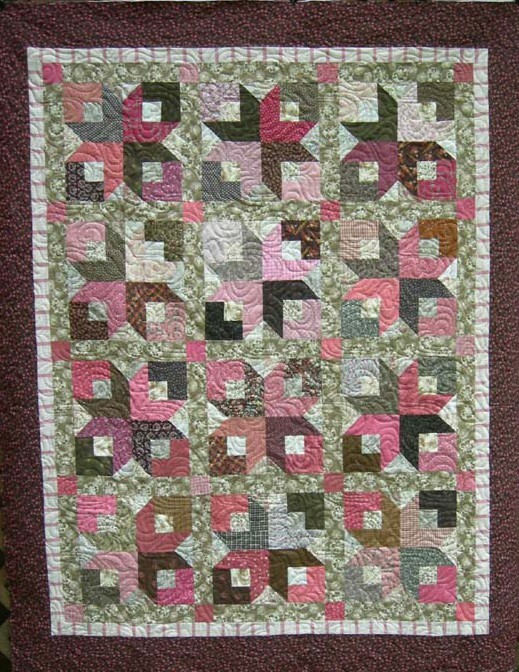 Multiple layouts work with this, with or without sashing. The directions are available from her website. 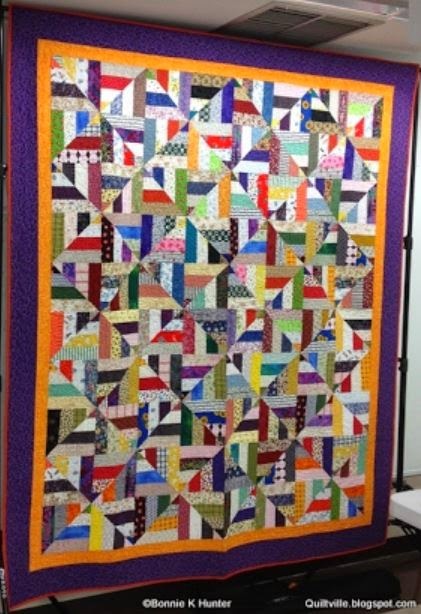 “Scrappy Mountain Majesties” is made from 8 ½” squares; each block finishes at 6″ x 7 1/2″, and there are many possible layouts. The directions are available from her website. 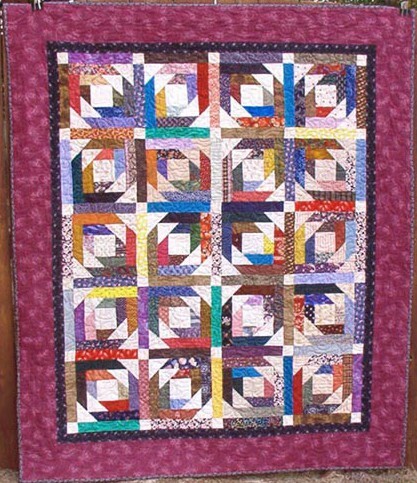 “Strip Twist” is strip-pieced by cutting triangles out of strip sets made from 2 ½” strips. The directions are available from her website.